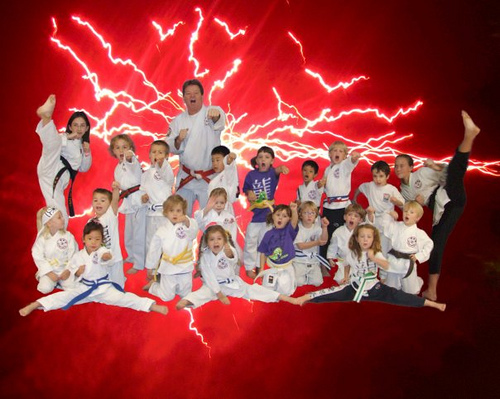 Little Dragon Karate Classes are for kids ages 3 1/2 – 5 years old, a 30 minute lesson teaching the basic fundamentals of Yoshukai karate such as blocking, punching, kicking, balance, coordination, and discipline in a fun and safe environment. 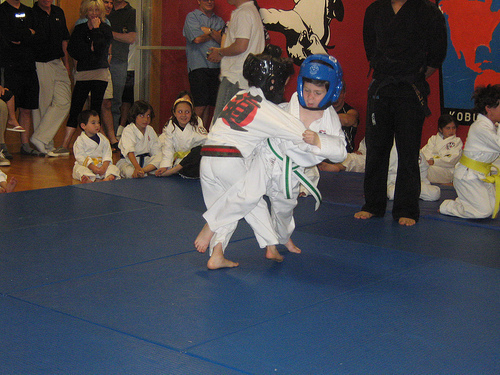 Little Dragons break boards and earn belts, like the older kids. 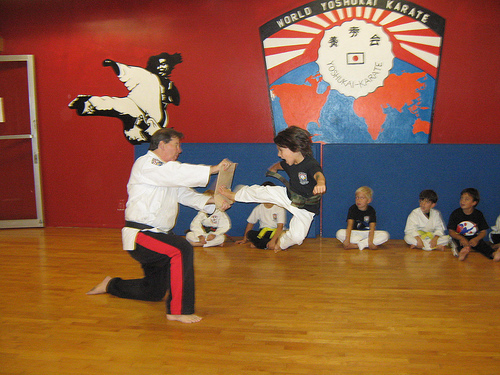 These fundamentals prepare kids for their future Karate Kids class training.